Security - Secure connectivity, Integrated threat control, Identity management and more. The Cisco 1921 offers increased levels of services integration with data, security, wireless, and mobility services, enabling greater efficiencies and cost savings. A single Cisco IOS Software Universal image is installed on each ISR G2. The Universal image contains all of the Cisco IOS Software technology sets that can be activated with a software license, allowing your business to quickly deploy advanced features without downloading a new Cisco IOS Software image. Additionally, larger default memory is included to support the new capabilities. 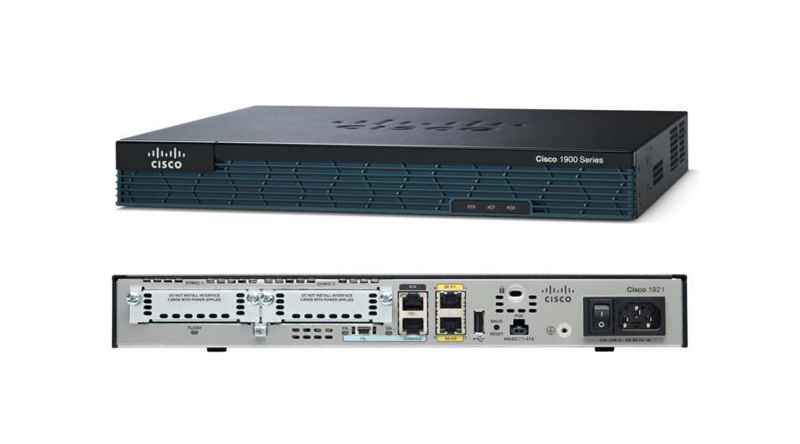 The Cisco 1900 Series enables deployment in high-speed WAN environments with concurrent services enabled up to 15 Mbps. Designed to address customer business requirements, the Cisco 1921 with the modular architecture offers a performance range of modular interfaces and services as your network needs grow. Modular interfaces offer increased bandwidth, a diversity of connection options, and network resiliency. The Cisco 1900 Series offers intelligent power management and allows you to control power to the modules based on the time of day. Cisco EnergyWise technology will be supported in the future. Services integration and modularity on a single platform performing multiple functions optimizes raw-materials consumption and energy usage. Platform flexibility and ongoing development of both hardware and software capabilities lead to a longer product lifecycle, lowering all aspects of the TCO, including materials and energy use. High-efficiency power supplies are provided with each platform. DC Power option available (CISCO1921DC/K9). Reuse of a broad array of existing modules supported on the original ISRs provides a lower TCO. A rich set of Cisco IOS Software features is carried forward from the original ISRs and delivered in the Universal image. This router gives you the flexibility to grow as your business needs evolve. The Cisco 1921 ISRs are highly modular platforms with multiple module slots to provide connectivity and services for varied branch-office network requirements. The ISRs offer an industry-leading breadth of LAN and WAN connectivity options through modules to accommodate field upgrades to future technologies without requiring replacement of the platform. The Cisco 1921 is powered by high-performance multicore processors that support growing demands of branch-office networks by supporting high-throughput WAN requirements. Embedded hardware encryption acceleration is enhanced to provide higher scalability, which, combined with an optional Cisco IOS Security license, enables WAN link security and VPN services (both IPsec and SSL acceleration). The onboard encryption hardware outperforms the advanced integration modules (AIMs) of previous generations. All onboard LAN and WAN ports are 10/100/1000 Gigabit Ethernet routed ports. A new, innovative, mini-Type B USB console port supports management connectivity when traditional serial ports are not available. The traditional console and auxiliary ports are also available. 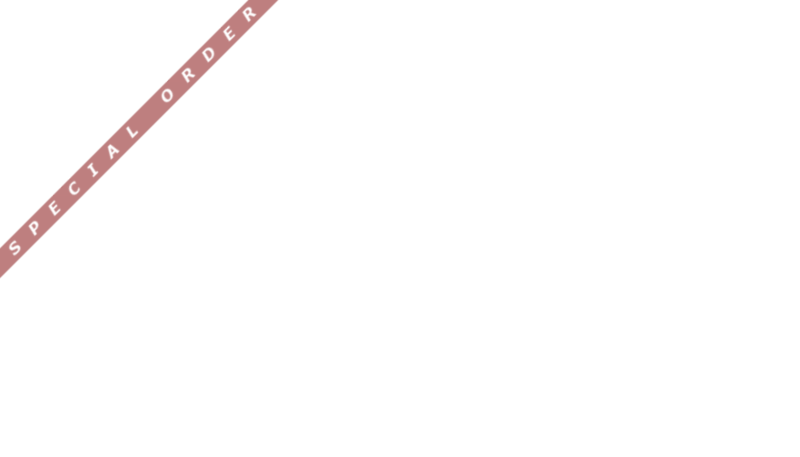 You can use either the USB-based console or the RJ-45-based console port to configure the router. An optional upgrade to the power supply provides inline power (802.3af-compliant PoE) and Cisco Standard Inline Power to optional integrated switch modules. The EHWIC slot replaces the high-speed WAN interface card (HWIC) slot and can natively support HWICs, WAN interface cards (WICs), and voice/WAN interface cards (VWICs). Two integrated EHWIC slots are available on the Cisco 1921 for flexible configurations for support of two modules: One doublewide HWIC-D or two singlewide EHWIC/HWIC modules are supported. Each EHWIC slot offers high-data-throughput capability. One high-speed USB 2.0 port is supported. The USB port enables another mechanism for secure-token capabilities and storage.